A complete interior renovation, including fancy custom clothes closets. 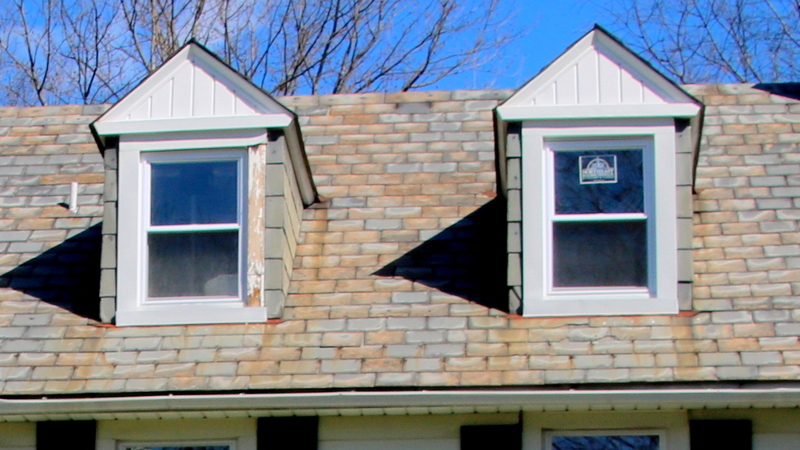 A high-grade asphalt roof replacing the original slate. New furnace, air conditioning, plumbing and electrical panel and circuits. Workers did all this and more at Mayor Catherine Pugh’s new house in Ashburton after she purchased the 2,415-square-foot structure shortly after taking office in December 2016. It was a major renovation, but Pugh got it at little cost. Sources say the house renovation job was done for Pugh at a steep discount by a politically-connected company, Commercial Construction, an affiliate of Commercial Group LLC of Hanover, Md. The roof replacement was done without the required building permit and without the required permission from the Commission for Historic & Architectural Preservation (CHAP), The Brew has determined. Attempts to reach Commercial Group’s chief executive officer, Kevin Johnson, were unsuccessful. A staffer declined to take a phone message, but directed a reporter to send an emailed query. Pugh’s personal attorney, Steven D. Silverman, said he could not answer questions from The Brew about the work on Pugh’s new house in the 3400 block of Ellamont Road. Pugh’s business and personal dealings are coming under intense scrutiny following the disclosure of payments – so far, totaling nearly $700,000 – she received for her self-published “Healthy Holly” children’s books. 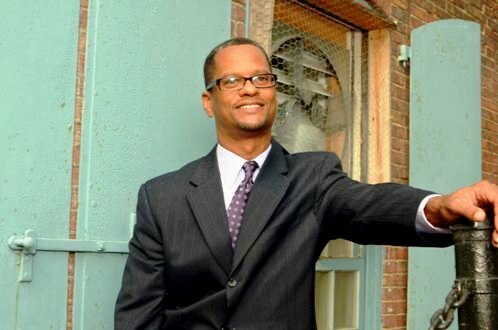 Last night at midnight, City Council President Bernard C. “Jack” Young took charge as the ex officio Mayor of Baltimore. Pugh took a leave of absence, citing health concerns, shortly after Maryland Gov. Larry Hogan asked the State Prosecutor’s Office to begin a criminal investigation of the Healthy Holly payments. State investigators should be able to obtain what the media has not – tax filings and other documentation, which Pugh has declined to release, that would show what she did with the money. Meanwhile, the public is left to scrutinize what it can – including Pugh’s January 2017 purchase of the Ellamont Road house, a cash-only transaction for $117,500 that was significantly lower than its $194,000 assessment. Sources tell The Brew that the company that packed and moved Pugh into the new house also did the work for free or at a discount. The company, Allen & Son Moving & Storage, and its owner, Allen P. Burrus, have not responded to requests for comment. Also unclear is how Pugh paid for the extensive house renovations. The Brew has written about several questionable contract awards by the city to Commercial, a relatively obscure drywall company until about six years ago. A solid campaign contributor and player in city politics, CEO Johnson was friends with then-mayor Stephanie Rawlings-Blake. Late last year, Commercial won a contract for conduit renovations originally billed as costing $26 million that may, as disclosed by The Brew, eventually cost the city $100 million or more. The contract was approved both by Mayor Pugh and City Council President Young. The Brew has also reported how Johnson, in 2014, wrested a $6 million contract to build Baltimore’s new Greyhound Bus Station from low bidder Roy Kirby & Sons. 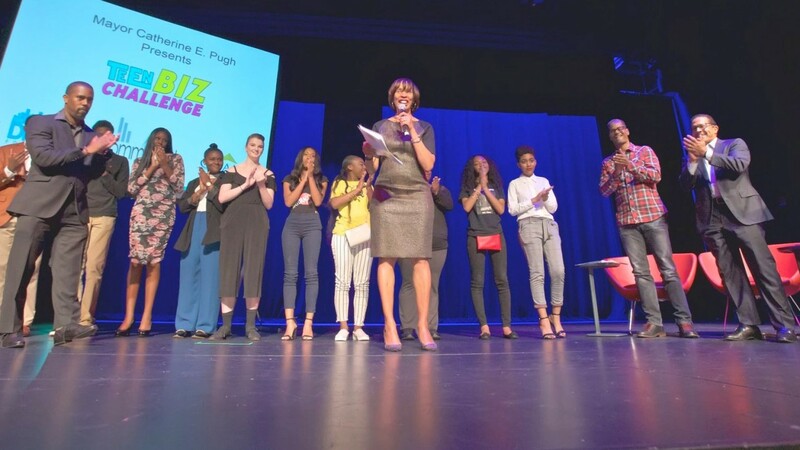 In addition to winning the conduit contract – awarded during the Rawlings-Blake regime and then expanded during the Pugh era – Johnson has appeared with Pugh at events she has organized. Pugh with a Columbia Address? COM2017-02845: “Install 15 plumbing fixtures, install 80,000 BTU furnace and two-ton A/C unit, install 200 AMP service and 25 circuits as per code. Gas by others.”* The estimated work cost: $4,000. 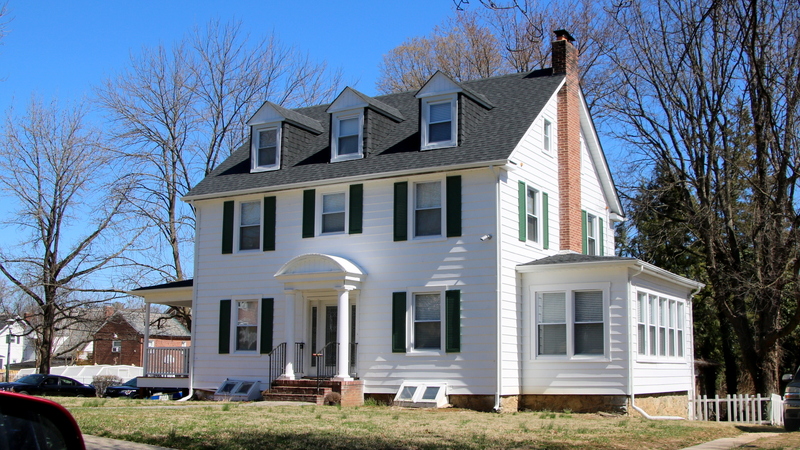 The address provided for Pugh is her Dennlyn Road home, about a block away. The property owner is listed as “Catherine Pugh,” but the address provided for her is 4919 Bluewing Court, Columbia, Maryland, a multi-unit address. Now city officials say the applicant was a man named Michael Miller, residing at that address, though his name does not appear on the permit provided last month to The Brew. Officials have released a copy of a document indicating that Miller was cited on March 15, 2017 for changing windows without authorization in Ashburton, a historic zone under CHAP’s purview. Tammy Hawley, a spokeswoman for Baltimore Housing, said Miller “took responsibility” for the violation and failure to pay a $500 fine, which has increased to $1,500 with late fees. She corrected the information she provided earlier, saying the total fine is actually $2,500. Hawkey released a memo explaining how the Ellamont house will have to obtain CHAP approval retroactively for work including the large two-story deck (via a hearing) and other issue to be reviewed by staff. Reached by The Brew, Miller refused to discuss the work. “I don’t do reporters, ma’am,” he said, hanging up. Neither of the permits on file (or slightly different versions released today by the city) make reference to roof work. Hawley said she had seen no documents referring to roof work at that address. Officials at CHAP last month told The Brew they had no record of a request for a roof replacement for the Ellamont Road house. 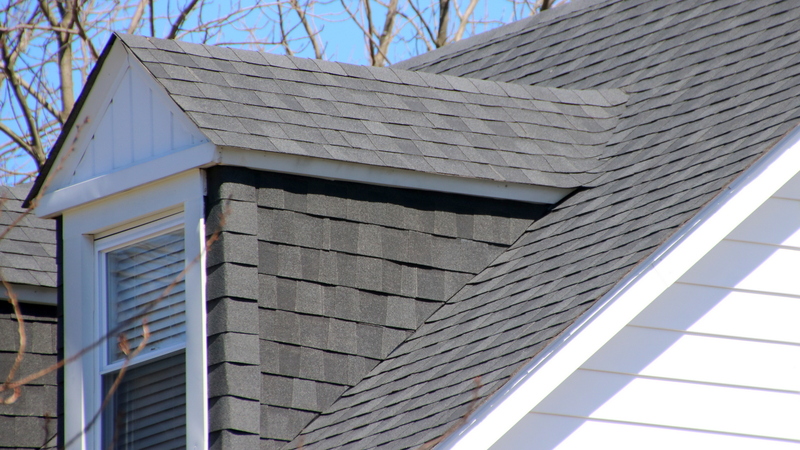 In historic neighborhoods, including Ashburton, permission is required to replace a slate roof with other materials. A photo of the roof taken on April 4, 2017 shows rust-stained slate. A photo taken last month shows what appears to be high-end architectural grade asphalt.